Direct Mail (the sending out of printed advertising material) is still one of the most effective ways to get your company’s products and services in front of the people who matter. In such a competitive marketplace, Direct Mail is a fast, simple and cost-effective way of getting your company’s profile noticed by people who have a history of interest in the kind of service you offer. A Direct Mail campaign can boost your client base, inform people about changes and improvements to your business strategy or introduce new products or offers that your company is putting forward. Direct Mail is the perfect way to make contact with new customers and spread the word of what you have to offer, when integrated into the overall marketing mix of your business, it’s another channel that can prove successful in attracting new clients and customers. However, to some, Direct Mail is a confusing marketing method and many people do not understand how it can aid their business. This report will shine a light on any existing misconceptions regarding Direct Mail as well as confronting the negative stigmas attached to the Direct Mail method. • Direct Mail is all ‘Spam’ that only serves to annoy people and never gets read. Direct Mail is an incredibly effective marketing method. 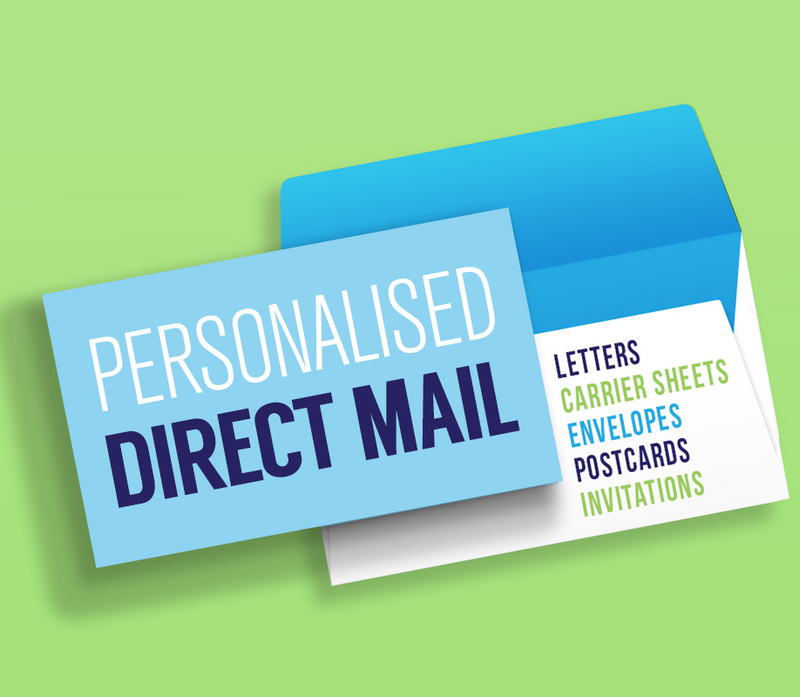 The industry is growing and an increasing number of companies are employing the services of Direct Mail houses because it is such a quick and effective way of reaching new clients and customers. Not every piece of information will be read, certainly, but a big enough campaign is extremely likely to bring in a wealth of new business. As previously stated a Direct Mail campaign, whether it’s directed at businesses or consumers, is still one of the most effective ways of marketing your company. Although Direct Mail is often mistakenly associated with “junk mail”, there’s a lot more to a successful campaign than just stuffing pizza delivery offers through as many letterboxes as you can find! A good Direct Mail campaign must be carefully researched, planned and put together. It’s not a simple as a blanket mail drop. It’s about targeting the right people and tweaking your content to get the best responses and the return on investment. In the past few years since the arrival of e-mail a lot of companies have moved away from Direct Mail and focused their marketing activities online. However, the opening rate for Direct Mail is still high which means it is an efficient tool for drawing in new customers (when done correctly). Here are our Top Ten Direct Mail Tips to ensure your direct mailer gets a positive response and doesn’t end up straight in the bin! First of all you need to set your goals. Who are you targeting with your direct mailer? What are their preferences? Decide exactly what you want to achieve from it. Do you want to sell a product or service directly? Do you want to raise awareness of your brand? Do you want to promote a special offer? Having a clear focus about what you are setting out to accomplish will help to get better end results. When putting together your direct mail message you need to revolve it around the needs of your potential audience. What are they looking for? What will get their attention? Make sure your message is clear so customers will fully understand what they are getting from the mailer. Giving incentives is a great way of making your direct mail work by getting recipients to respond to an offer. There is an endless list of things you can do to incentivise your target market. Some examples include a discount coupon, a free trial or sample, a special deal, a competition or a reward for taking action. It’s a good idea to include a time limited offer or promotion to instil a sense of urgency and you should also make sure that the offer is easy to respond to. There are a few things to bear in mind for the content of your direct mailer, the main one is that less is most definitely more! Keep sentences and paragraphs short so people can scan them quickly. Use bullet points, subheadings and subtitles to segment the information and make it easier to read. Avoid using slang or jargon and minimise the use of buzz words. Once you’ve written your first draft read it aloud as it will highlight any parts that don’t flow or read well and make sure to cut it down. The overall style of your direct mail can have a huge influence on whether people respond positively or negatively. Brand identity plays a big part in the styling and you should ensure your direct mail piece reflects your company branding and always include your logo in order to reinforce brand awareness. People respond well to things which are personalised so personalise as much as you can. Writing as you would speak can help the mailer to seem more human and hand written notes add a nice personal touch too. Odd shaped mailers can work to draw attention also as people are attracted to things which are unusual. Generate a real buzz around your mailer by highlighting the benefits and integrating it with other marketing. Use your direct mail campaign as an opportunity to drive people to your website and publicise it on social media sites such as Facebook, Twitter and LinkedIn. You only have a short amount of time to make impact with your direct mail campaign so first impressions really do count. You want people to see it and be attracted to read more. So, what is the best way to ensure your mailer isn’t ditched straight away? Well your headline is a good place to start. Your headline should draw people in and set the tone. A great headline could ask a question, specify a benefit or deliver news or if possible incorporate all three. Your headline shouldn’t be misleading; it should give a taste of what the recipient can expect to get by continuing to read on. Probably the most important part of your direct mailer is the call to action. Your message sets out your offer or promotion now you want people to take action. Your call to action should be very clear and tell your readers EXACTLY what you want them to do. Whether you want the reader to “call now”, “register online” or “scan this QR code” just make sure it’s obvious to them. A “P.S.” at the bottom of your direct mail piece is a good place to add your call to action. You’ve spent a lot of time constructing your direct mailer so you need to make sure it is delivered to the right person at the right time. Using reliable data with correctly named people will contribute to the successfulness of your campaign. Before you send it out you may want to have it reviewed by an objective third party and you’ll probably want to test different copy, headlines and offers. With direct mail marketing you’ll need to constantly test and review what you send out and monitor target recipients, replies and results. You should be prepared to try different approaches until you find what works best for you. If you want your direct mail campaign to look, sound and feel professional and you don’t have the capabilities to manage it in house then you might want to seek the help of professionals. Get just one element of your direct mail wrong with bad design, bad copywriting or bad printing and it will have a detrimental effect on your campaign success. There are plenty of companies available to help you with some or all (depending on your needs) aspects of your direct mail campaign so don’t be afraid to seek assistance if you need it. So, there you are the foundations of planning and executing a successful Direct Mail campaign. At Print & Mail Runner we believe in the effectiveness and potential power of Direct Mail and have loads of experience in managing successful Direct Mail campaigns. If you would like any help or advice, please do not hesitate to contact us.